BEAUTIFUL LOT FOR SALE IN THE WESTWING MOUNTAIN COMMUNITY OF ''THE ESTATES AT WESTWING MOUNTAIN.' THIS .86 ACRE LOT OFFERS BREATHTAKING 270 DEGREE MOUNTAIN AND CITY LIGHT VIEWS, BACKED UP TO THE PEORIA SUNRISE MOUNTAIN PRESERVE. 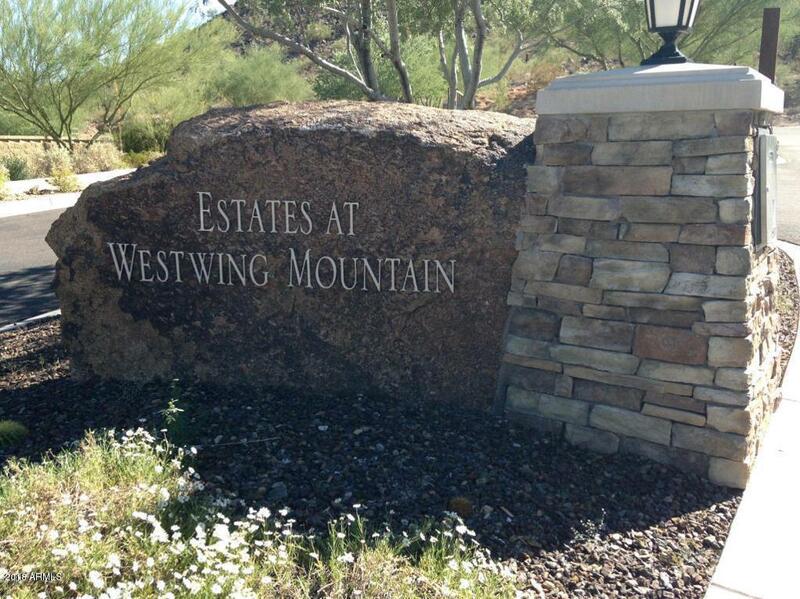 BUILD YOUR DREAM HOME ON THIS ELEVATED HILLSIDE LOT IN ''THE ESTATES AT WESTWING MOUNTAIN.'' BUYER TO VERIFY ALL INFORMATION.